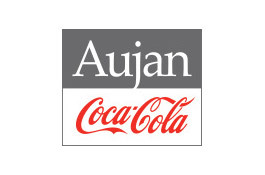 Dubai, UAE, 21 February 2016: Aujan Coca-Cola Beverages Company (ACCBC), one of the leading beverage players in the Middle East and North Africa, confirmed that it is on track with its growth plans across the region and reaffirmed plans to build further manufacturing facilities across its jurisdictions. Speaking on the side-lines of Gulfood,Tolga Sezer, Chief Executive Officer, ACCBC, said: “Despite political and economic disruption over the past few years, the regional beverage market has continued to grow, and we expect this to continue.For ACCBC, an increasingly youthful population across MENA, together with opportunities for new categories and fresh consumer-focused innovations, mean significant growth prospects. To fully leverage these opportunities, ACCBC has put in place a robust, five-year growth strategy to drive profitability and retain our position as a world-class, regional beverage operator. By evolving our strategy, we are able to identify opportunities and avenues that allow us to grow without being constrained by product categories and geographies. In 2015, ACCBC kicked-off its pre-announced investment project in Egypt which will supply ACCBC’s brands to the Egyptian market, with further expansion potential across other African markets.Furthermore in 2016, in line with its strategic growth plans, ACCBC will be looking at acquisition and joint venture opportunities in the MENA region. ACCBC is participating at Gulfood 2016 from 21 – 25 February, with a stand located on the concourse in front of Hall no. 8, at Dubai World Trade Centre. Aujan Coca-Cola Beverages Company (ACCBC) is the authorized manufacturer and distributor of Rani and Barbican brands and the licensed manufacturer in the Middle East for Vimto. In 2014, ACCBC acquired a majority stake in the National Beverage Company S.A.L. (NBC), becoming the manufacturer and distributor of Coca-Cola, Pampa, and several other brands in Lebanon. ACCBC along with Rani Refreshments (RR) – the global trademark owner of Rani and Barbican were established in 2012 following the successful joint venture between Coca-Cola Company and Aujan. ACCBC owns three manufacturing facilities located in Dammam, Saudi Arabia; Dubai, UAE; and Beirut, Lebanon.